Long associated with secretive R&D practices and patented IP, corporate innovation is now entering a new era of openness. Digital technologies are blurring organizational boundaries as omni-channel customer experiences transcend businesses and industries. Breakthrough solutions are being shared at conferences and distributed via extensible, open platforms. Companies are finding themselves working with a vast range of vendors and partners, both big and small. Combining several existing solutions to form a net new solution in a different domain. Creating new products and features through partnerships between startups and large companies. Helping to scale existing startup-based solutions, so the organizations can keep their internal resources focused on their core domain. 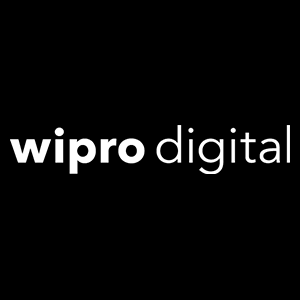 Wipro Digital developed its IoT Partner Engineering practice because we regularly work with several dozen vendors on customer projects In order to bring a differentiated solution to market, we each bring in our own strengths, and by creating a solution together, we provide better value for our customers. Partner Engineering focuses on building solutions which blend Wipro’s IP and services capabilities with best-in-class partner technologies, and then looks to replicate and scale these offerings not only through individual customer implementations, but also through organizations like the Industrial Internet Consortium, Industrie 4.0, and the World Economic Forum (and C4IR – The Center for Industrial Research). Co-innovation becomes incredibly useful when you’re starting with people first, and that’s our overall approach to building solutions – human-centric design and implementation. As important as tech is, you don’t start with the technology itself. You start with how people are using the technology. When product companies build an architecture for anything involving technology, most tend to put their products at the center – it’s just the way that technology works. However, for our Connected Worker Safety and Operations solution, we flipped that around and put the individual, the human, at the center, and worked outwards from there. This example is significant because there’s a growing need for new solutions to prevent workplace injuries and occupational deaths – an immense problem that costs $2.8T annually worldwide. Everything must work to ensure the worker’s safety while being intuitive and fitting within the larger business processes. This approach is especially important because we have so many partners coming together: you can’t take just the cloud architecture or just the helmet architecture or just the storage or server architecture and put that at the center. You have to start with the overall strategy (what are you looking to “achieve” with an implementation, down to granular KPIs and how you intend to yield a high ROI. Then you move on to design – the technical architecture, the user experience, as well as the full ecosystem view. Then you progress on to technology; where the stack used is ultimately based on the requirements driven by the strategy and design. Technology needs to be the enabler, not the initial focal point. As an example, in a recent project, we worked with six vendors: one in edge computing, another in networking, a third in cloud computing and three other vendors in the application and data lake/data intelligence space. We started with what we’re looking to achieve, then we went into design so we could make this as intuitive and meaningful as possible for the workers, the IT managers and for the OT management – whether it’s the factory floor manager, the pit manager, or the lighting manager. Then we designed the experience appropriately, and then overlaid the technology. That’s why we partner with vendors you might not expect, like the smartwatch startup BLOCKS, which offers the ability to swap out different sensors using a modular hardware architecture. BLOCKS allows us to easy tailor solutions at various stages in the implementation process. Many times, large organizations have the desire to innovate faster, but their inherent administrative overhead prevents them from moving forward quickly. Startups can provide the ability to be nimble and agile. While companies are able to put together a POC, converting POCs to an engagement can move too slowly or fail. The main reason is the difficulty of finding a business sponsor who is willing to own the solution and champion it. For many large companies, co-creating solutions with startups challenges the existing ways of working and forcibly induces change in many functional areas, which results in better traction for improvements being implemented. This has a halo effect, as the customer realizes, “this was successful in one area, let me try several others!” Often, a client champion experiences success with “low hanging fruit,” or projects or programs which are viewed as more “incremental” innovation, which save money or increase revenue in a short period of time; it then provides them with the ability to position and fund larger, more ambitious, “radical” or “breakthrough” innovations. With startup-driven innovation, Wipro’s role is important because we understand the client’s IT landscape and other services, and how to make new solutions work for them. This kind of open innovation isn’t just limited to startups: we also discover, align and collaborate with academia, expert networks, incubators and technology consortia to co-innovate at scale. To learn more about open innovation, its challenges and best practices, see our in-depth perspective jointly published with NASSCOM. The growing ecosystem of startups serves as a massive laboratory of ideas. Successful startups are those whose ideas blend well with the needs of the market. When large organizations work with startups that have exhibited product-market fit, they can avoid the chaos of the tens of thousands of less impactful ideas, and cherry-pick the winners. This approach can save time and money when compared with traditional R&D. Our customers routinely select startup solutions from our Wipro Ventures portfolio over building custom solutions in-house. Why? When innovating outside of their core business offerings, established companies are likely to get better quality and more feature-rich software from a startup. It’s a win-win situation: the startup is funding its R&D through sales to customers, while the company gets cutting-edge tech delivered faster. Companies select startups over established vendors for multiple reasons: the startup could be providing niche capabilities, is an early player in a newer category, or has solutions that outdo the incumbents’ in simplicity and speed of deployment. Siloed ways of working are no longer effective, and we see co-innovation as key to accelerating and scaling digital transformation. The technology world is moving fast, and there’s already too much innovation happening to be an expert everywhere. It’s becoming increasingly common for a company to master something perceived as a ‘new’ technology, only to have the ‘next new thing’ pop up to replace it! If organizations want to get to market before the world has changed, they must co-innovate today. Are there inherent risks? Yes, as there are with any kind of innovation. When projected outcomes look too advantageous to ignore, calculated risks are necessary to stay competitive and relevant. By joining forces with mutiple partners, companies are able to optimize the mix of technologies and competencies in order to deliver improved customer outcomes in shorter periods of time. Future business will be driven by ecosystems that foster collective success, and deliver exceptional customer value. We are a mix of strategists, creative directors, designers, writers, media strategists, digital marketers, developers and relationship builders. We’re committed to creating vibrant and relevant brand experiences on every level.